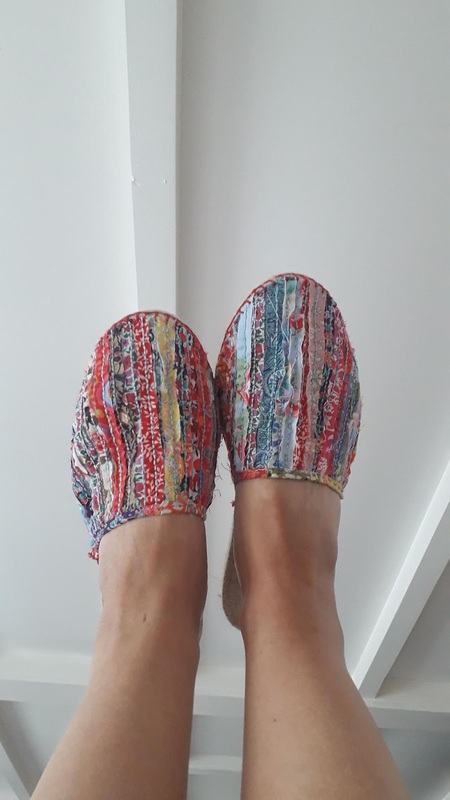 Earlier on this year I noticed that my local haby Creaseys was selling espadrille soles, what a lovely idea! They very kindly ordered them in in my size, have rather large feet.....and I started looking for inspiration. that were perfect. The backing was just a pair of old jeans. You draw round the pattern provided with the soles and then get creative. so that the fraid edge of the fabric was a feature. not what you want for the top of a shoe! So I backed them with a woven interfacing. 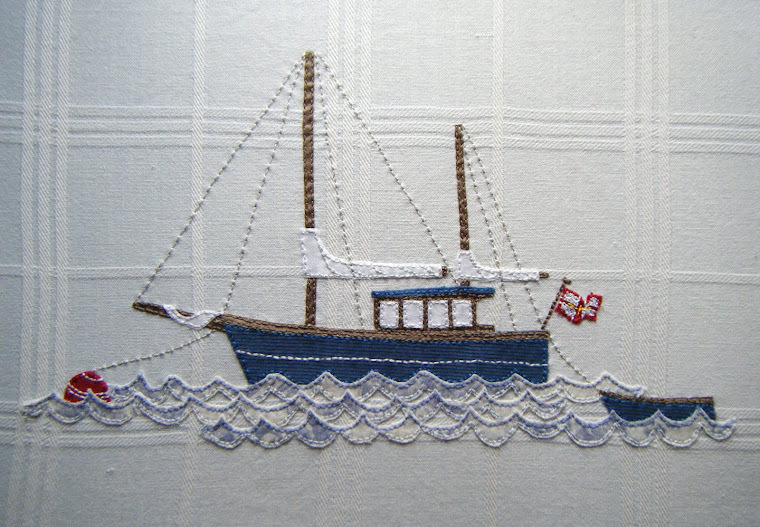 perfect for doing the traditional blanket stitch to hold the top to the bottom. The only problem I had was as you fold the fabric under to do the blanket stitch, it meant I was sewing through two layers of denim and interfacing plus the rope sole, so I ended up having to use a pair of pliers to pull the needle through! 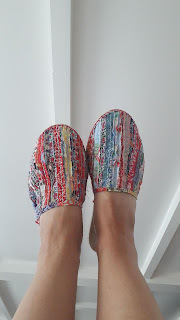 Must say I am very please with how they turned out, I decided not to do the backs as when I used to wear espadrilles a lot and you always stood on the backs, so why bother with them in the first place? 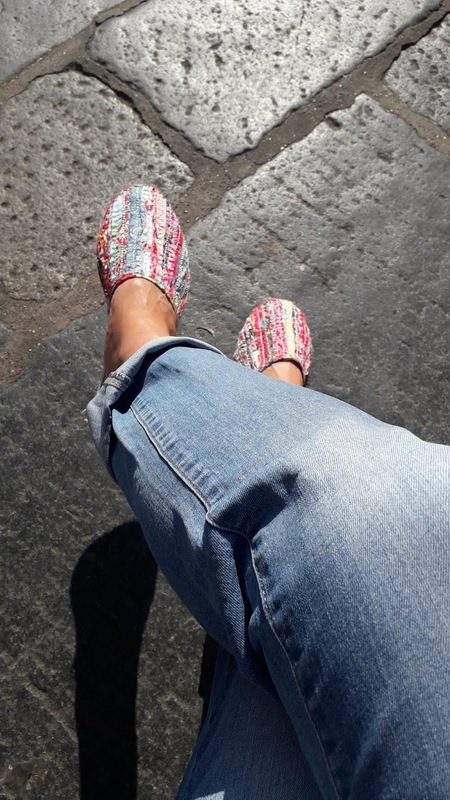 And today they have had their first outing in the sun!